Lyman Cary was born on April 10, 1856 and grew up in Flanders, New Jersey. He attended Rensselaer Polytechnic Institute in upstate New York and graduated with a degree in civil engineering. In April 1881, when the rail tracks extended only 40 miles of town, he arrived in Mandan at the age of 25 to seek his fortune. He was convinced, like others, that Mandan would become the "Omaha of the North" and was persuaded by investors out east to send for his surveying equipment. 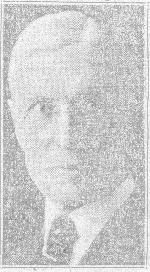 He is credited with platted the town of Sterling and parks of both Mandan and Bismarck. He was often paid for his work with lots from these developments. 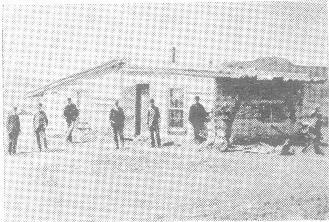 Living quarters were very scarce but the two young men found accommodations in a log rooming house which had a canvas roof. According to the report this roof was as hospitable to the rain and snow as it was to is lodgers. Undaunted by the inconvenience, the two men quickly dubbed their rooming house, "The Arlington" as the western counterpart of the fashionable Arlington Hotel in Washington, DC with which they were both familiar. Cary initially partnered with Warren Carpenter and became the land agent for the Northern Pacific Railroad. Their territory extended from the Missouri River to the Montana line. To compensate the railroad company for their risk in undertaking the construction of the line, the government had awarded the NPRR every odd numbered section of land for fifty miles on each side of the tracks. Railroads, through land agents such as Lyman Cary, would subsequently resell the land to settlers to finance the construction of the railway. The Northern Pacific Railroad had recruiters in Europe encouraging immigration to the United States. Cary sold thousands of acres at $2.60 to $3.00 per acre - an investment which could be recouped with just one good crop. 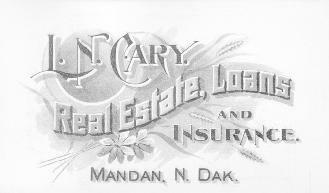 After completing the real estate transactions for the railroad, Cary moved on to become the land agent for "the Syndicate" area of town which comprized the majority of southwest Mandan in and around the present day Mary Stark Elementary School area. "The Boston Syndicate" was a group of eastern investors who owned an operated a significant portion of the southwest area of Mandan including a brickyard. Mr. Cary also developed major portions of the downtown business district. Lyman Cary reportedly still holds the record for the most land sale transactions in the history of the state of North Dakota. In the early 1900s, Mr. Cary would sponsor a $100 prize to be awarded to the farmer producing the best corn sample displayed at the Morton County Fair. 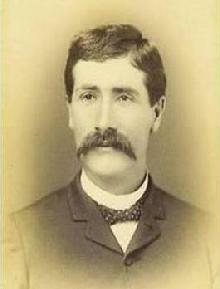 Lyman Cary married Anne Alison Clark, daughter of James Reed Clark a pharmacist and proprietor of Clark Drug Store in 1884. Lyman and Anne had five children; Ethelind (Little), Willam, Anne, Alison and Colin. The couple were very active in the congregation of the First Presbyterian Church in Mandan. Lyman and Anne lived at 311 Third Ave NW. 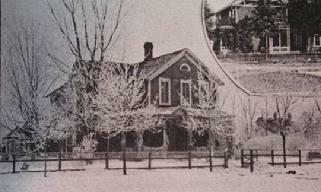 The house, originally built at 201 Seventh Ave NW, was moved by Cary in 1894 to this new location across the street and facing the First Presbyterian Church. The move was prompted by his wife's request, so she could be closer to their church and its activities. Their son Colin and wife owned the adjacent house at 309 Third Ave NW. The Cary home was torn down in May 1989. Anne Cary is given credit for suggesting the State of ND preserve the famed historic site Chateau De Mores at Medora. Her interest in the French nobleman's home stems from your recollections of 1885 when the grand jury met in Mandan to indict the Marquis for murder. Her father was the grand jury foreman. Mrs. Cary is also credited as being the first woman to be elected as forman of a trial jury in North Dakota history. She was active in a wide variety of civic organizations including Daughters of the American Revolution and the Pioneer Daughters. She was also an authority on local history. Lyman Cary died on April 15, 1929. He is buried in the family plot in Union Cemetery, Mandan, which Cary had selected when he had platted that area of town. The Cary Real Estate office was operated by his son, Colin Cary, until the mid 1960s.